Pain management in cancer patients needs special focus. The chance of experiencing pain in cancer patients is higher when cancer has spread or recurred. Cancer pain may not just be from the physical effect of the cancer on a region of the body, but also due to chemicals that the cancer may secrete in the region of the tumour. Cancer can cause pain by growing into or destroying tissue near the cancer site. Cancer pain can come from the primary cancer itself – where the cancer started or from other areas in the body where the cancer has spread – metastases. As a tumour grows, it may put pressure on nerves, bones or organs, causing pain. Tests done to diagnose cancer or the type of surgery and cancer treatments like chemotherapy, radiation and surgery too cause pain. Surgery can be painful, and it may take time to heal. Phantom pain is a longer-lasting effect of surgery, beyond the usual surgical pain. If the patient has an arm, leg, or even a breast removed, he/she may still feel pain or other unusual or unpleasant feelings that seem to be coming from the absent (phantom) body part. Radiation may lead to burning sensation or painful scars. Chemotherapy can cause pain, burning, tingling, numbness, weakness, clumsiness, trouble walking, or unusual sensations in the hands and arms or legs and feet, mouth sores or pain in the throat. Intestine and bladder are also prone to radiation injury. Spinal cord compression is caused when tumours spread to the spine & press on the spinal cord. The first sign of compression is usually back and/or neck pain, sometimes with pain, numbness, or weakness in an arm or leg. When cancer spreads to the bones there is bone pain. Cancer pain can almost always be relieved or lessened. There are many different kinds of medicines & different ways to take the medicines and non-drug methods that can help relieve pain. Keeping pain from starting and keeping it from getting worse are the best ways to control it. Pain is best relieved when treated early. Transcutaneous electric nerve stimulation (TENS). The pain may be acute or chronic which lasts for long periods of time. It may range from mild to severe. There may be persistent (or chronic) pain and breakthrough pain. Some people with chronic pain that’s mostly controlled by medicine can have breakthrough pain. This is when moderate to severe pain “breaks through” the pain relief and is felt for a short time. Many people with chronic cancer pain (pain that lasts longer than 3 months) have 2 types of pain –. Persistent pain doesn’t go away but it can usually be controlled by pain medicines taken around the clock – on a regular schedule. Breakthrough pain is pain that’s not controlled by the regular doses of pain medicines. Pain medicine in cancer patients is administered in various ways: Oral, Skin patch, rectal suppositories, subcutaneous (SC) injection, Intravenous (IV) injection, intrathecal and epidural injections. For mild to moderate pain, non-opioids and non-steroidal anti-inflammatory drugs are often used. Opioids, also known as narcotics are the strongest pain relievers available. Opioids are much like natural substances called endorphins made by the body to control pain. 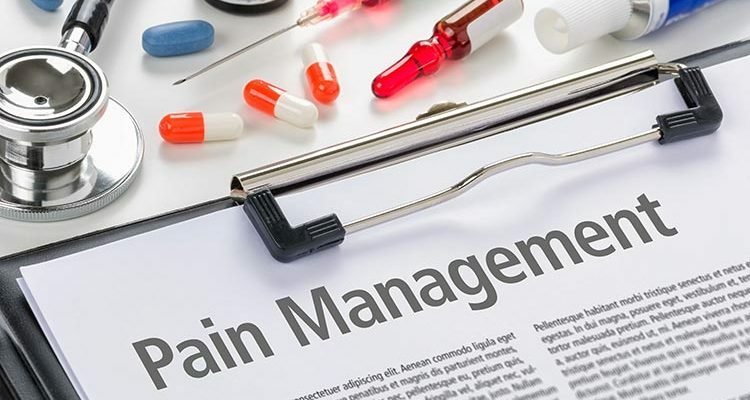 Drugs used to treat chronic or persistent pain are called long-acting or sustained-release which are slowly released into the body and keep pain at a lower level over a long period of time. Breakthrough pain which is an intense flare-up of pain is best treated with pain medicines that work quickly and for a short period of time. They are usually taken as needed, which means that they should be used as soon as breakthrough pain is noticed. These short-acting drugs sometimes called rescue medicines work faster than those used for constant pain. They also stay in the body for a shorter time and often cause fewer side effects. Surgery to stop pain impulses from going through the nerves. Nerve block where a local anaesthetic often combined with a steroid is injected into or around a nerve. Spinal analgesia using intrathecal or epidural injection where low doses of pain medicine may be injected into the fluid around the spine. Chemo, hormone therapy, or radiation may be used to shrink the tumour. Radioactive injections are sometimes used when the cancer has spread to many places in the bone. Radio frequency ablation can be used in certain areas of the body. Non-medical treatments are now widely used to help manage cancer pain. Many techniques are used along with pain medicine, though they can also be used alone for mild pain or discomfort. These methods include: relaxation, biofeedback, imagery, distraction, hypnosis, skin stimulation, trans-cutaneous electric nerve stimulation (TENS), acupuncture, exercise or physical therapy, and emotional support and counselling.